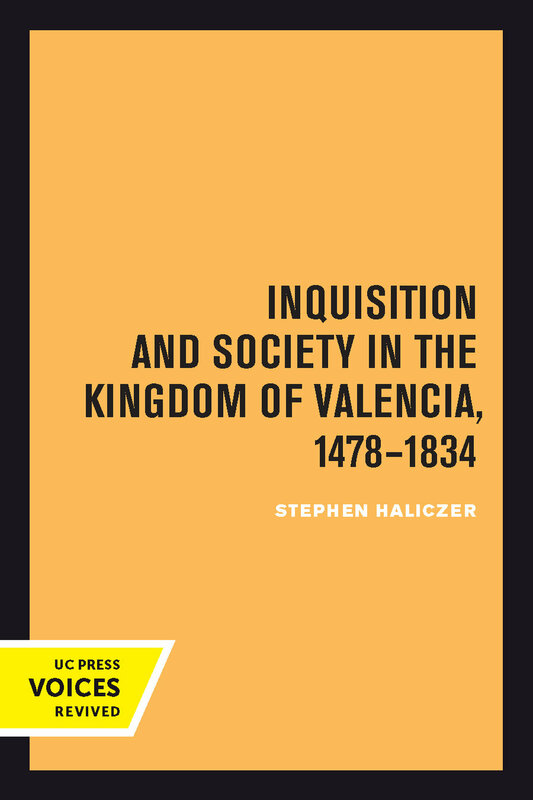 Stephen Haliczer has mined rich documentary sources to produce the most comprehensive and enlightening picture yet of the Inquisition in Spain. The kingdom of Valencia occupies a uniquely important place in the history of the Spanish Inquisition because of its large Muslim and Jewish populations and because it was a Catalan kingdom, more or less "occupied" by the despised Castilians who introduced the Inquisition. Haliczer underscores the intensely regional nature of the Valencian tribunal. He shows how the prosecution of religious deviants, the recruitment and professional activity of Inquisitors and officials, and the relations between the Inquisition and the majority Old Christian population all clearly reflect the place and the society. A great series of pogroms swept over Spain during the summer of 1391. Jewish communities were attacked and the Jews either massacred or forced to convert. More than ninety percent of the victims of the Valencian Inquisition a century later were descendants of those who chose conversion, the conversos. Haliczer argues convincingly against those who see all the conversos as "secret Jews." He finds, on the contrary, that a wide range of religious beliefs and practices existed among them and that some were even able to assimilate into Old Christian society by becoming familiares of the Inquisition itself. Nevertheless, it was controversy over the sincerity of the converted which spawned the first proposals for the establishment of a Spanish national Inquisition. That very same controversy, persisting in the writings of history, may be resolved by Haliczer's stimulating discoveries. Inquisition and Society in the Kingdom of Valencia is a major contribution to the lively field of Inquisition studies, combining institutional history of the tribunal with socioreligious history of the kingdom. The many case histories included in the narrative give both Valencian society and the Inquisition very human faces. Stephen Haliczer is Professor of History at Northern Illinois University. He is the author of The Comuneros of Castile: The Forging of a Revolution, 1475–1521 and the editor of Inquisition and Society in Early Modern Europe.